Now I did it! I can just hear the computer keyboards start clicking away beneath the pounding of flying fingers, busily typing thoughts as they pass down the arms from the brain, furious at the very thought of someone giving even the least bit of reprieve to a “water bottle”. However, before you let your anger build beyond reasonable thought, I ask that you read on. The other day I ran across a posting that spoke about how over 90 U.S. universities have either banned or plan to ban bottled water on their campuses, according to the Ecologist, and over 100 U.S. towns and cities have also banned most forms of bottled water.. In response, the International Bottled Water Association (IBWA) trade association has produced a video in support of bottled water, which can be viewed along with the complete story at the TriplePundit web page. After viewing the video and associated comments, I started thinking about its message and digging a little further into the problem. Bottled water has been the target of many attacks these last few years, mostly because of the plastic waste that end up in landfills, oceans, street gutters, and everywhere else you look. The other issues are health related due to the fact that the water in the bottle is not regulated as stringently as municipal water and in some cases shown to be more contaminated than water from the tap. Also the plastic that bottles are made of are not of a quality that can be reused and cause illnesses when refilled multiple times. The third point is the environmental footprint (e.g. the amount of petroleum fuel it takes to produce one bottle, process the water, and to ship the water, etc.). Despite all of the drawbacks, bottled water does have a purpose. There are a lot of areas in the world, and the United States, where clean water is scarce and bottled water is the only choice. Bottled water is also necessity as an emergency supply in areas prone to violent storms, earth quakes, and other natural disasters that my knock out infrastructure for a period of time. In addition, building codes have changed over the last twenty or so years. It used to be that water fountains could be found everywhere. Now, a developer can reduce the amount of drinking fountains required by code in a public building, if drinking water (or beverages), can be purchased via vending machines on the property. There are examples of entire sports arenas built without a single water fountain. To the owner, this means less money to spend on hardware, less maintenance, less worry about germ contamination, and less water usage for his building. All of the above understood, I repeat that “Plastic water bottles are not entirely at fault.” The bottom line is that the consumer has created this problem. We have become creatures of convenience and it is much more convenient to buy our water in little bottles and pull them out of the refrigerated case whenever we are thirsty. Seeing this demand for convenience, companies started bottling water and marketing it to the masses. The selling point is taste and the fact that it is a healthy alternative to sugary soft drinks. Quite ingenious and ironic due to the fact that the largest players in the bottled water game also dominate the soft drink and juice beverage market. It might surprise you that water sold in individual plastic bottles, only make up a little over one quarter of the total amount of the number of beverages sold in individual plastic bottles. The research is difficult in that no single source exists to find an exact number that everyone agrees upon; but a close approximation shows that Two million (2,000,000) plastic beverage bottles are used and discarded in the US every five minutes. I will do the math for you and that adds up to twenty-four million (24,000,000) per hour, or two-hundred- eighty-eight million (288,000,000) bottles in a 12 hour day, for a grand total of One-hundred-five-billion, one-hundred and twenty million bottles per year (105,120,000,000 per year). Now that is a lot of plastic bottles but this total includes more than just bottled water. This total also includes soft drinks, sport drinks, tea, juice, and all other single serve beverages as well. Further research shows that the three largest corporations holding bottled water companies dominate the market. Pepsi, under the name Aquafina has 13% of the market and Coke has 11% with its Dasani brand. Nestlé holds a number of smaller brands but collectively they make it the largest bottled water corporation with 26% of the market. This makes up half the US bottled water market. Production reports that I could find show that Coke and Pepsi each sell at least 3.36 billion bottles of water each year. Again I will do the math which would mean that Coke and Pepsi with 24% of the bottled water market combined sell six billion, seven hundred twenty million (6,720,000,000) bottles of water. Multiply the production figures for Coke and Pepsi by four and the total number that the entire bottled water industry sells is approximately twenty-eight billion (28,000,000,000) bottles of water each year. Compare the twenty-eight billion water bottle production to the One-hundred-five billion total plastic beverage bottles and you can see that there is a much bigger problem than just water bottles. What is interesting is the fact that there has been so much talk about recycling water bottles that a newly-released study indicates that plastic bottled water containers are once again the single most recycled item in nationwide curbside collection programs. As of 2010, the recycling rate for plastic bottled water containers increased to 32.25 percent, more than doubling in the last six years. The study, by the National Association for PET Container Resources (NAPCOR), shows a welcome continuation of steady annual increases in the recycling trend for plastic bottled water containers. 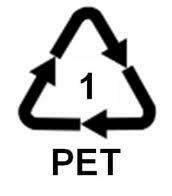 However, there are a lot of products, other than water bottles, made from PET (a type of plastic recognized by the recycle symbol with a number “1” in the middle), and they are being discarded regularly with the morning trash. So where does this evidence lead us? Do we ban bottled water all together? How about regulating the sale of water from single serving bottles to half gallon or larger containers? There are a lot of coffee vending machines that dispense a single cup of coffee, how about developing a machine that dispenses water of various quantities into our own personal reuse containers instead of bottles? If we are able to control the sale and use of single serve bottles of water, what do we do with the seventy-seven billion (77,000,000,000) other single serve bottles currently piling up in landfills and trashing our environment from the sale of soft drinks, sport drinks, tea, juice, and other beverages. Perhaps the answer is to make recycling more convenient. Instead of legislating against bottled water, legislate to require more recycling containers along streets and in front of all businesses so that there is a recycle container within 50 or 100 feet of wherever you might be standing. We should also insist on better municipal recycling services. The point is that the problem is much larger than bottled water and we must look at the bigger picture. This entry was posted in Corporate Social Responsibility (CSR),, Environment, Green, Sustainability, Waste Minimization. Bookmark the permalink. You obviously saw a nice opportunity to make a pretty penny with this plug. Unless your intend to send your pretty penny to me for accepting your crass comment; I can assure you that I have neither requested nor accepted any compensation, monetary or otherwise, for any of my blog postings. I am an observer, free and practical thinker that presents unbiased facts in a clear and ethical manner in an effort to educate and promote both thought and discussion that may cause change for the better. Thank you for making me think about this issue this morning. 1/ refilling water in one bottle is easy, poring any other sugary drink and cleaning it after is a drag. 3/ banning bottled water is not a solution, and if banning bottled water you should ban any other drink first. 4/ If colleges would realize that the electricity usage of those coolers is around $100 dollars in electricity each month they might consider getting rid of them. 5/ Spend the same energy and talk on teaching our children to recycle would be a better use of our efforts. Less than 20% of number 1 bottles are recycled so let’s make this number grow to 80% and then we can start talking again, and ye we should still have those kids use reusable bottles.